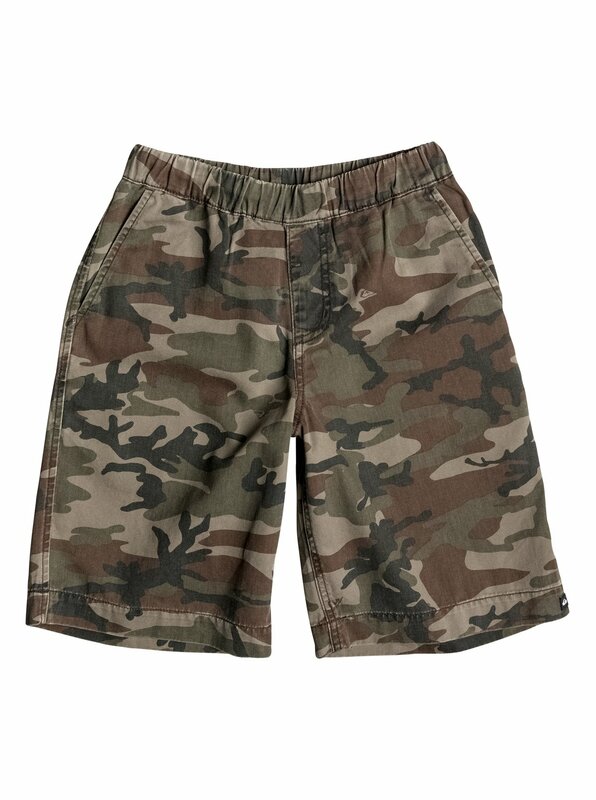 Camo Elastic Shorts for Boys 4-7 from Quiksilver. 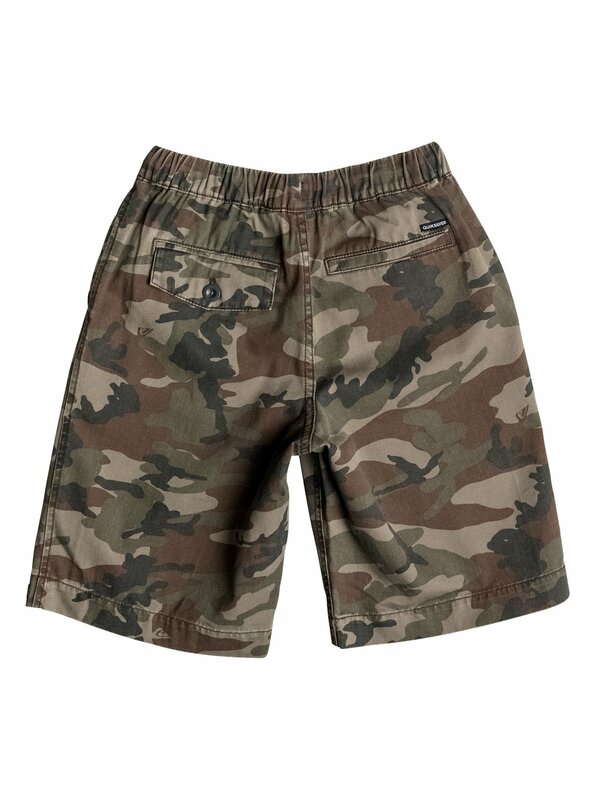 Features include 5.7 oz. 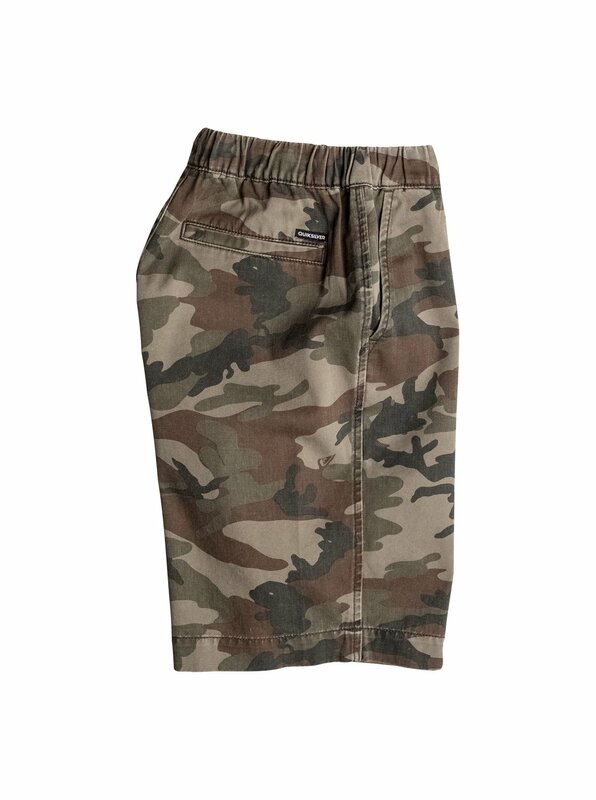 lightweight twill fabric, fully elastic waistband, all over camouflage print, tunneled drawcord [size 8-20 only] , enzyme wash for extra softness and a fabric composition of pure Cotton.